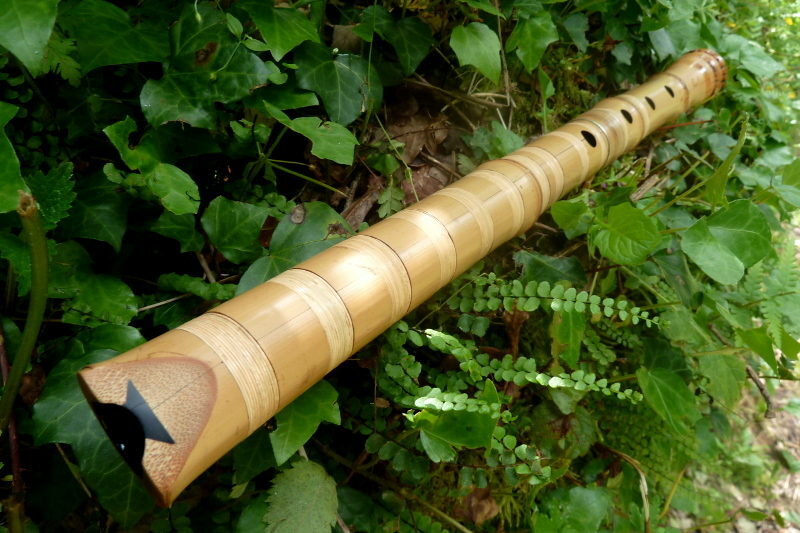 From 2017, I started working on restoration of old damaged shakuhachi. This is a way for me to improve on different repairing techniques and also to learn more the construction by studying different maker’s flute. 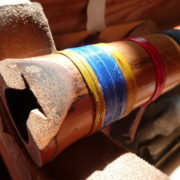 I’m able now to offer repairing services on your beloved flutes ! 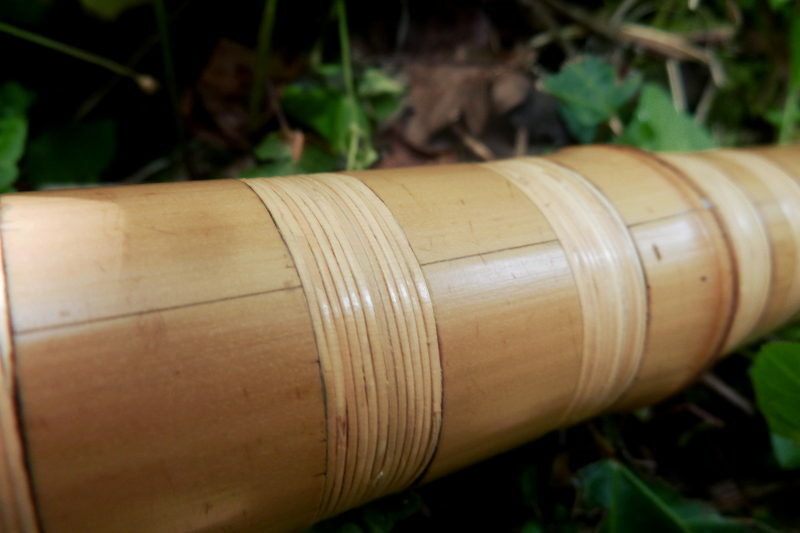 Bamboo is by its nature is likely to crack even after decades. 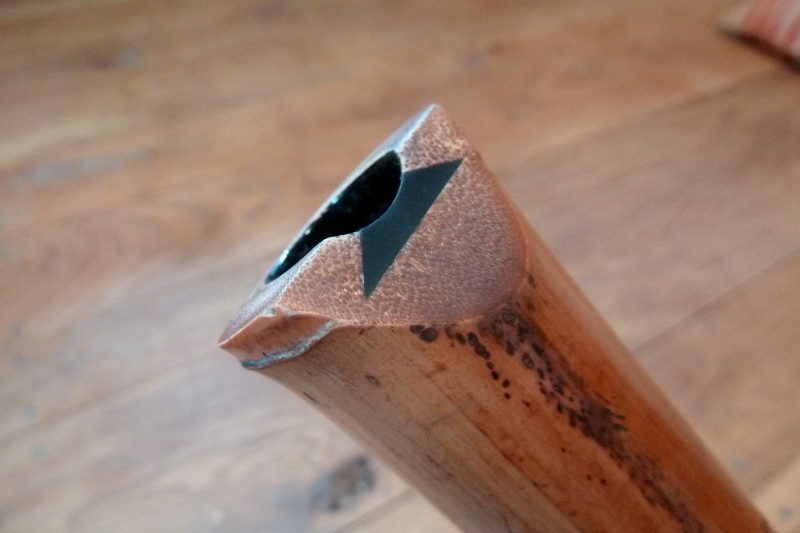 Any kind of split is repairable with care and patience. As soon as a crack appears on the surface of the bamboo it needs to be fixed before it gets worse. 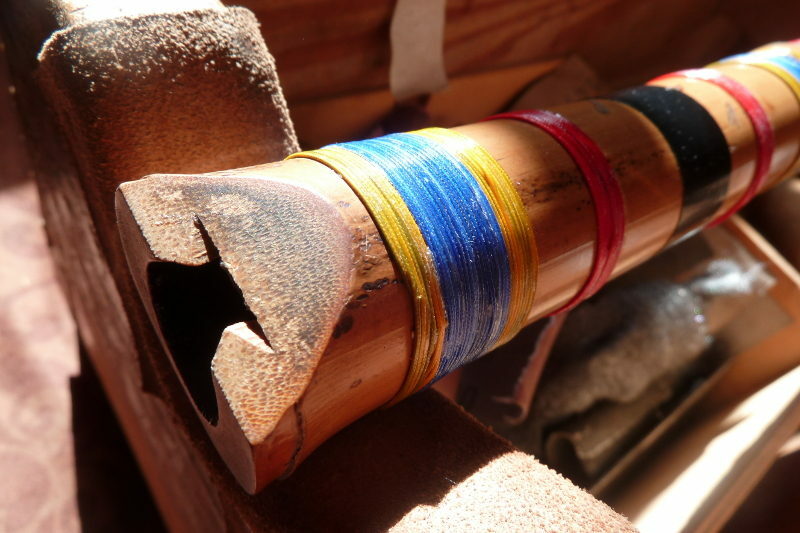 In case of an open crack (opening until the bore), the sound of the flute disappear; the repair then consists in closing the split (without any glue) and bind tightly the flute to avoid reopening. 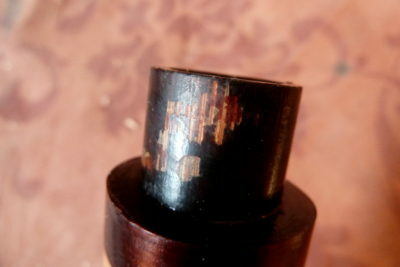 Inlaid rattan binding – The most aesthetic of the traditional Japanese binding; thread sealed with Urushi with a extra thin rattan thread on top. It requires precision and patience. 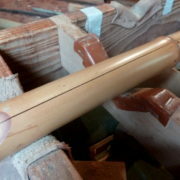 When a cracks opens the bore, the urushi coating is usually also cracked the shakuhachi then also needs new lacquering whose price depends on how bad is the crack. 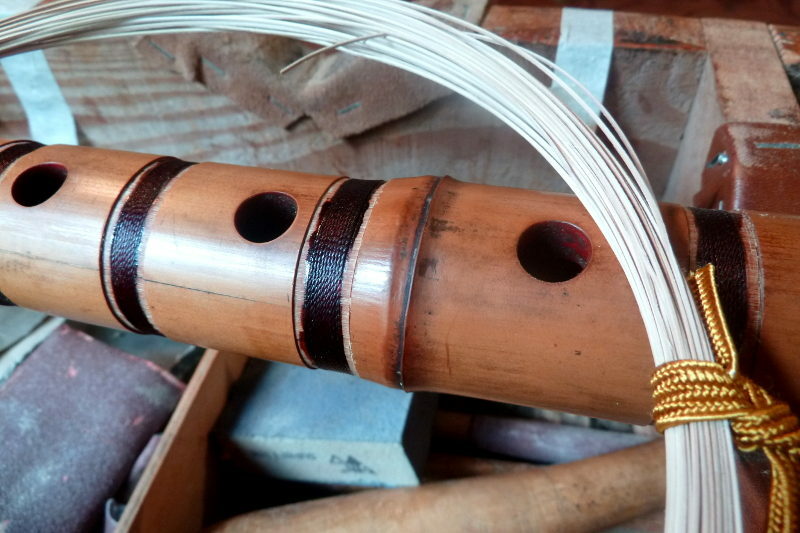 The inlay in Utaguchi is a delicate part hat is likely to be damaged in time which directly affect the flute in its sound production. 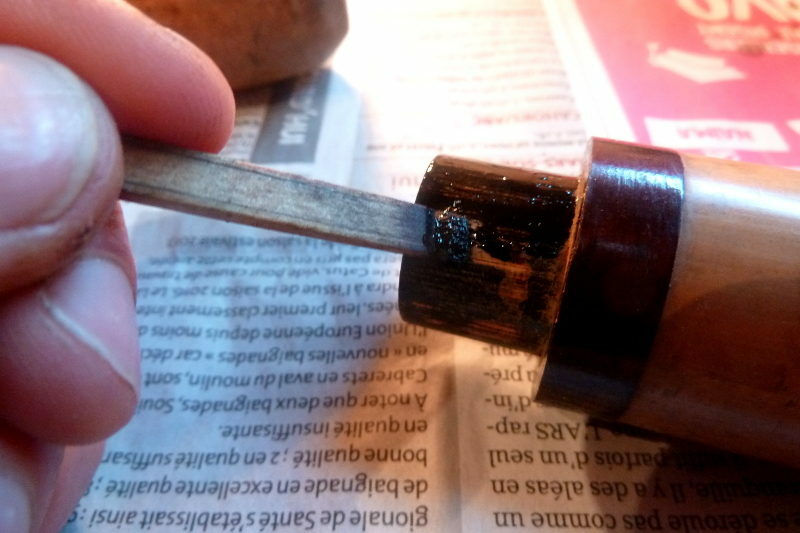 In case of small chips, it is possible to fill them with a mix of bamboo powder and glue. When the embouchure is badly damaged, the inlay should be replaced and the Utaguchi reshaped. 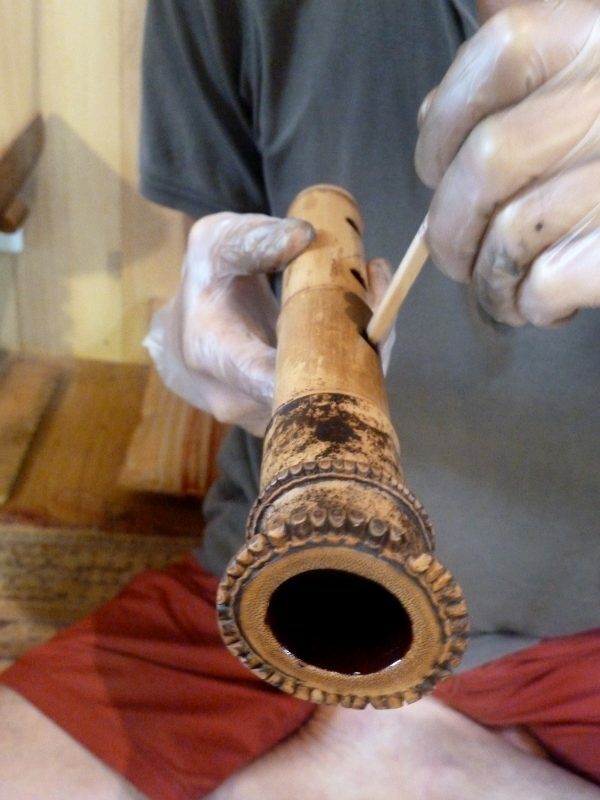 It’s a thorough work; a new Urushi coating must be applied to the embouchure. 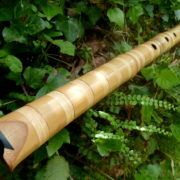 It often comes that in time, the joint of two parts shakuhachi gets loose causing a leak of air that affects the sound. 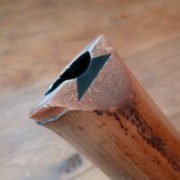 The solution is to apply several coats of Urushi to give the joint its perfect sealing back. 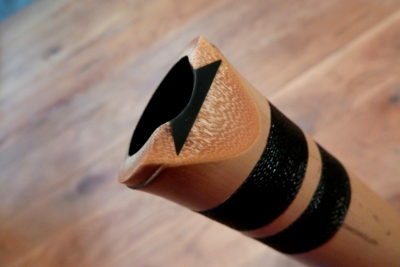 Generally, 3 layers of Urushi are enough but sometimes not. 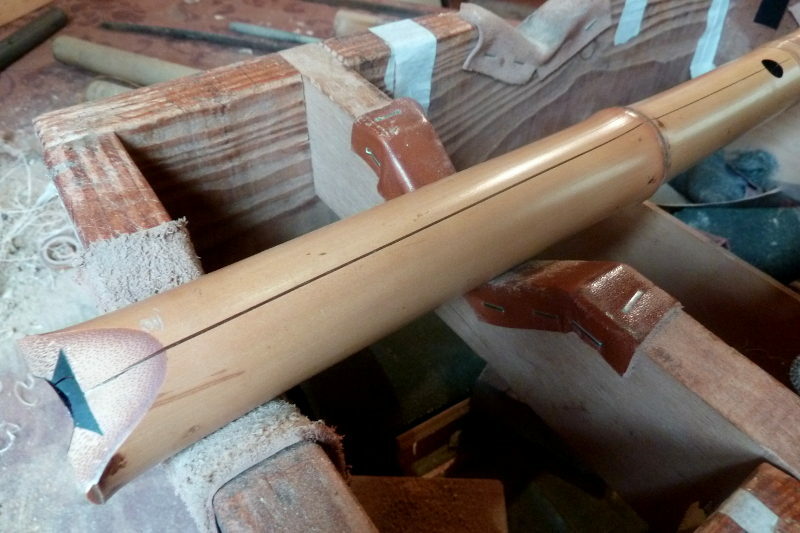 The process can be long with several days of curing between each layer and fine polishing. The Urushi coating protecting the bore of a shakuhachi can be altered in different manners. 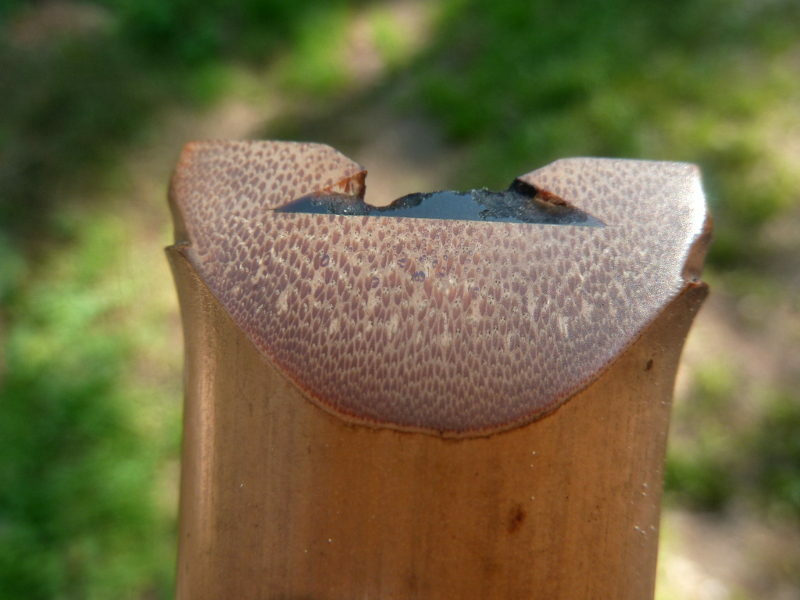 Mostly cracks due to bamboo splitting, chips or flakes and bubbles due to long time storage in bad conditions. 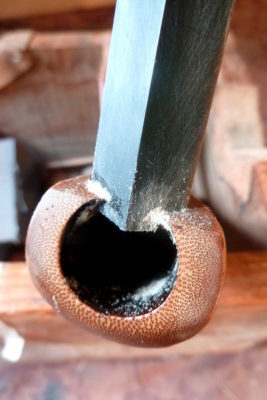 When the lacquer inside the bore is cracked, even if the split is closed with bindings, the sound can be affected. Several layers of Urushi are needed. 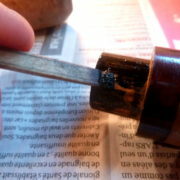 Sometimes, Ji is added in the gaps; and again, several days of curing and fine polishing. The cost may vary from one type of Urushi to another. 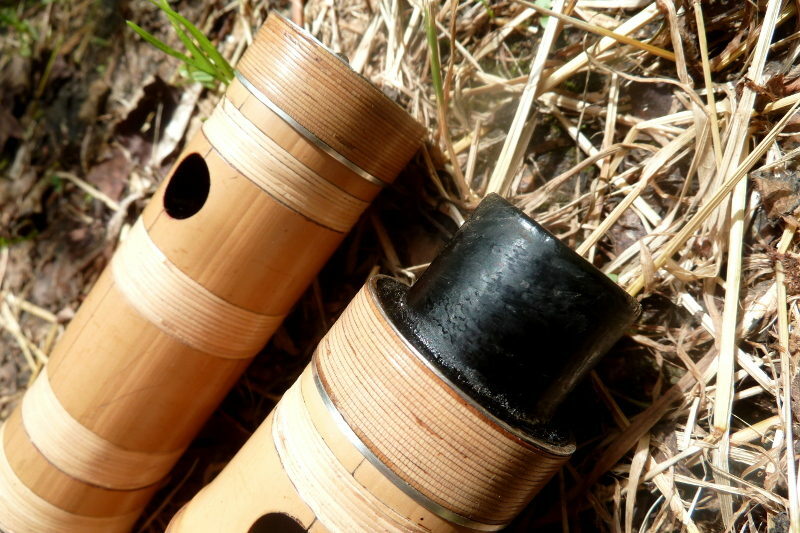 Black and glossy Roiro Urushi is the most common the red types Bengara and Shu no moto are more expansive and with longer curing.